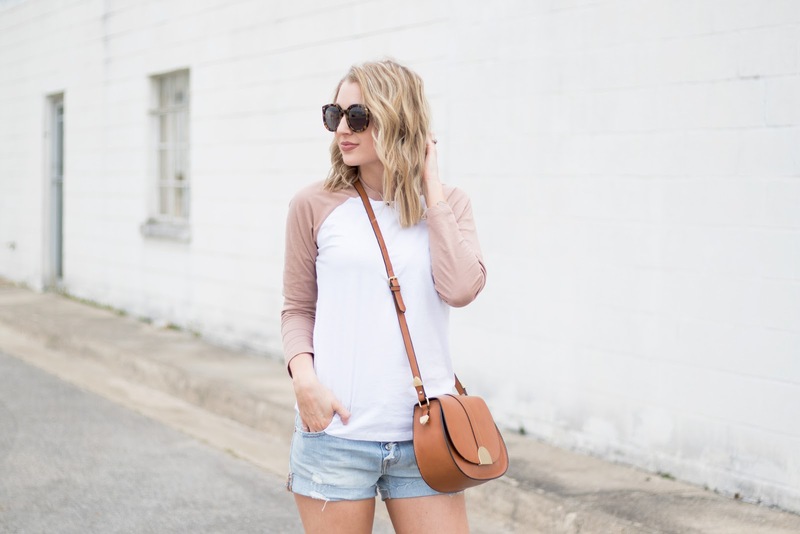 While I absolutely love dressing up and wearing heeled sandals, rompers, sundresses, etc., there are also occasions where you need something super casual and relaxed. We grill out with family quite a bit in the spring and summer, so shorts and a tee are the perfect vibe. I find that often times in spring it's not warm enough to wear both shorts and a short sleeve tee or tank at the same time, so I scooped up this tee as soon as I saw it! 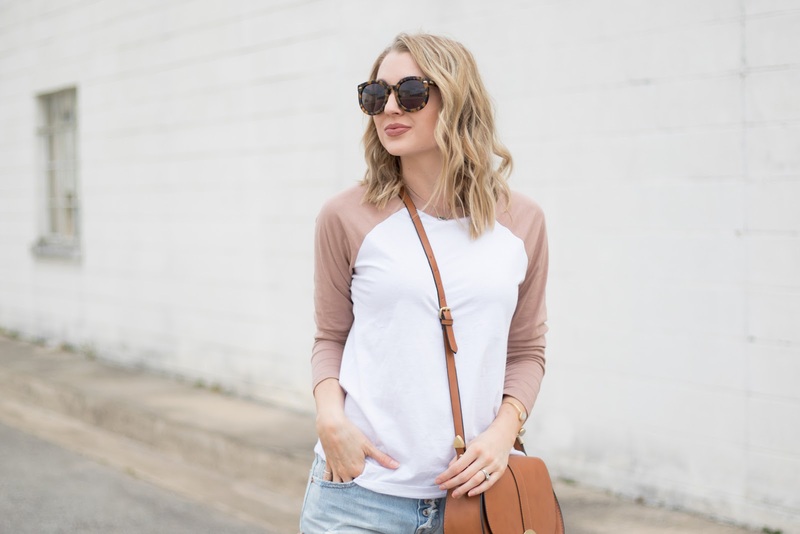 Unfortunately a lot of other people did too because it's sold out incredibly fast, but I did link a couple of other options for you above including my same top with olive sleeves (just $23!). I also found a great dupe for my Karen Walker sunglasses that are just $16 and come in 6 color options! However, if you've been thinking about splurging on the real deal (the quality and fit are amazing and I wear them almost daily), I found them for 25% off here!